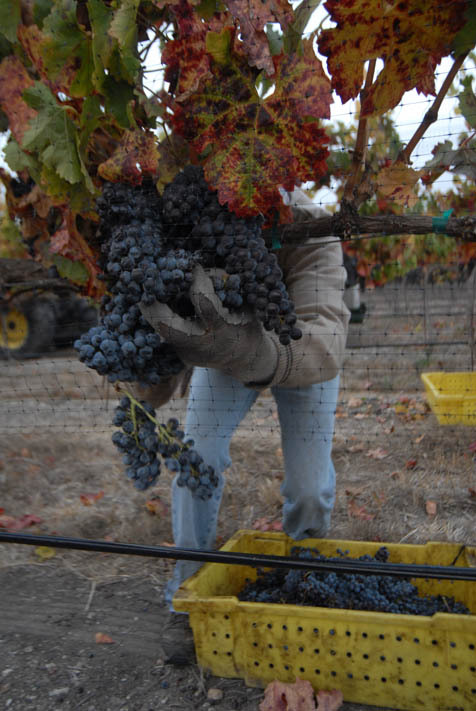 Since the first clusters of early ripening pinot grigio grapes started coming off the vines in August, the vineyards of Santa Barbara County have been a hub of harvest activity. Though the region’s renowned chardonnays and pinot noirs are mostly picked by now, the grape-plucking blur is likely to continue deep into November, as the recently warmer weather may keep heartier varieties like cabernet sauvignon, mourvedre, and nebbiolo on the vine extra long. Specifically, those events were an April frost that Fiolek described as “the latest and coldest that anybody can remember” and a June heat wave when temperatures soared to 109 degrees in usually cool Lompoc. And that happened during a crucial time in vine development, or what Fiolek called a vineyard’s “love session,” when the self-propagating plant’s male and female parts must get together. On top of that, there was another frost this month, and some grapes were actually frozen on the vines. But low grape yields aren’t the only things on the minds of Santa Barbara’s winemaking community, which is arguably the county’s biggest moneymaker when you add together the fruit and bottle sales with the industry’s tourism impacts. “Honestly, for the majority of people, even those who lost a fair amount of fruit, they’re not going nuts. They’re probably more concerned about the country,” said Fiolek, pointing at the current economic turmoil that may affect wine sales somewhere down the line.